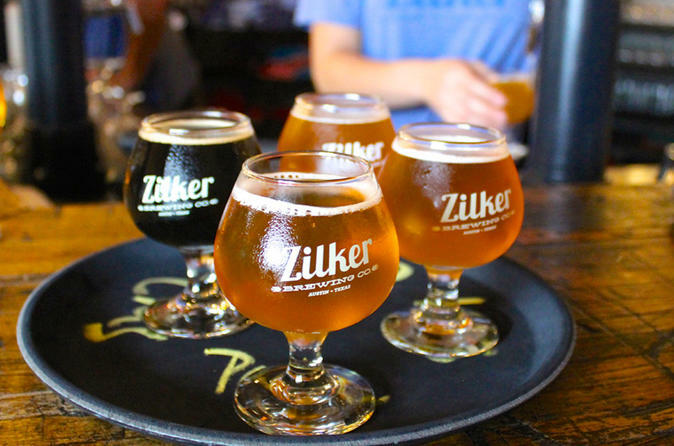 Explore three of the best breweries in the heart of Austin on this 3-hour guided tour. Discover the historic East Side as you sample local Austin craft beers, learn about the local brew scene and see what makes Austin great. This tour includes transport by an open-air electric shuttle and snacks. Following pickup from your Austin hotel/accommodation (downtown only) or the Austin Visitor's Center, sit back and enjoy the breeze in an open-air electric shuttle for this beer drinking tour. During this 3-hour tour, you will stop at three of the best breweries and craft beer establishments in Austin. You will cruise around to sample over 10 different craft microbrews at some of Austin's best breweries on the historic east side. You can enjoy beer flights at each location, while your tour guide provides you with insight into the history of each brewery and their most popular beer. After the tour, get dropped off back at your downtown hotel, airbnb or at the Austin Visitor center.